Today in Masonic History William Stukeley was born in 1687. William Stukeley was a British antiquarian and researcher. Stukeley was born November 7th, 1687 in Holbeach, Lincolnshire, England. He attended Corpus Cristi College in Cambridge and received his Bachelor of Medicine. He moved to London to study medicine at St. Thomas' Hospital. In 1710, Stukeley moved to Boston, Lincolnshire and started a practice. While there he became a member of the Spalding Gentleman's Society. The society was a group of learned gentlemen who got together to discuss of the events of the day and other important topics of the time. In 1717, Stukeley moved back to London. That same year he became a Fellow of the Royal Society. In 1718 he joined the Society of Antiquaries and served as secretary for nine years. In 1719 he received his Doctor of Medicine (M.D.). The following year he became a member of the Royal College of Physicians. In 1729, Stukeley took Holy Orders and became a priest in the Church of England. He was put in charge of the parish of All Saints in Stamford, Lincolnshire and he had a medical practice. He continued to do research and studied Royston Cave, a man made cave in Royston Hertfordshire. The origins of the cave are still in question with theories including that the Knights Templar made the cave or that early Operative Freemasons made it. 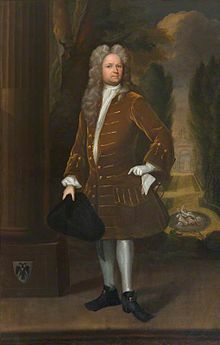 Stukeley's principal works appeared in 1740 and 1743. They were elaborate accounts of Stonehenge and Avebury, a neolithic henge consisting of three stone circles. Working with Edmund Halley, the renowned astronomer, he proposed that the builders of Stonehenge knew about magnetism and that is how they oriented the henge to magnetic north. He used this theory and the belief that the pole oscillated in a regular pattern, it is now know that it moves in an irregular pattern, to determine that the henge was built around 460 B.C., which is now known to be several thousand years too late. In 1747, Stukeley began a doomed correspondence with Charles Bertram. Bertram used his friendship with Stukeley to perpetrate a fraud. He provided Stukeley a book called the Description of Britain. It allegedly gave first hand details of Roman roads throughout England and other information about England in the time of the Romans. It was allegedly put into the book by a 15th century monk. For more than 100 years it was a source book for information about the history of Britain until it was eventually proven a forgery. In 1752, Stukeley, who was friends with Isaac Newton, wrote a biography on Newton. Stukeley is credited with first telling the story of the apple leading to Newton's theories on gravity. Stukeley passed away from a stroke on March 3rd, 1765. Stukeley was one of the first learned gentlemen to be attracted to Speculative Freemasonry. His own diary entry has him joining a lodge at Salutation Tavern. He notes in the entry that they had difficulty finding enough members to put on the degree. In a later entry he wrote "Freemasonry took a run and ran itself out of breath through the folly of its members." Stukeley's diary and papers are some of the earliest documentation of the newly formed Grand Lodge of England.